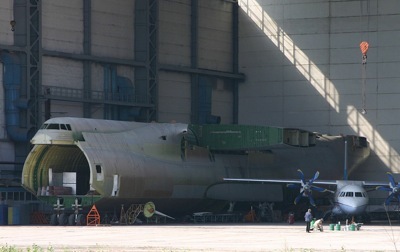 Antonov Airlines has decided to finished the construction of the second Mriya. In fact, during the 80′s another Mriya was partially built, for the tests, but it was stopped due to lack of money. It seems that the amount of work is too important now for one plane and that’s why they are finishing the second one. The renovation began in 2006 and should end in 2008. Posted on: 2007-08-28 under Mriya.